“Trust is really the central issue. What keeps our society running is trust. You drive through an intersection with a green light because you trust that other drivers stop at the red light. Without that trust we couldn't drive. If you couldn't trust pilots and airlines, you wouldn't fly. Videos are portions of presentations produced by The Accounting Continuing Professional Education Network (ACPEN) CPE network. ACPEN is a consortium of nearly 40 state societies owned and managed by Business Professionals' Network, a firm that is responsible for the development of CPE content and management of the network for the benefit of state societies and their member CPAs. For more information or to find out how to view the presentations in their entirety please visit ACPEN at www.acpen.com. 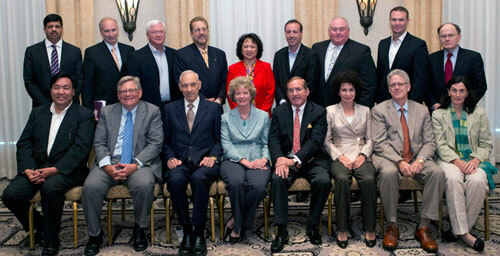 John F Levy is a National Association of Corporate Directors (NACD) Board Leadership Fellow. Hhe has demonstrated his commitment to boardroom excellence by completing NACD's comprehensive program of study for corporate directors. He supplements his skill sets through ongoing engagement with the director community and access to leading practices.